The Gulf Coast Town Center sits right on Interstate I-75 in Ft. Myers, just north of Estero/Bonita Springs and south of Venice. After a very successful show at this location during Thanksgiving weekend, we are excited to return to this wonderful venue. 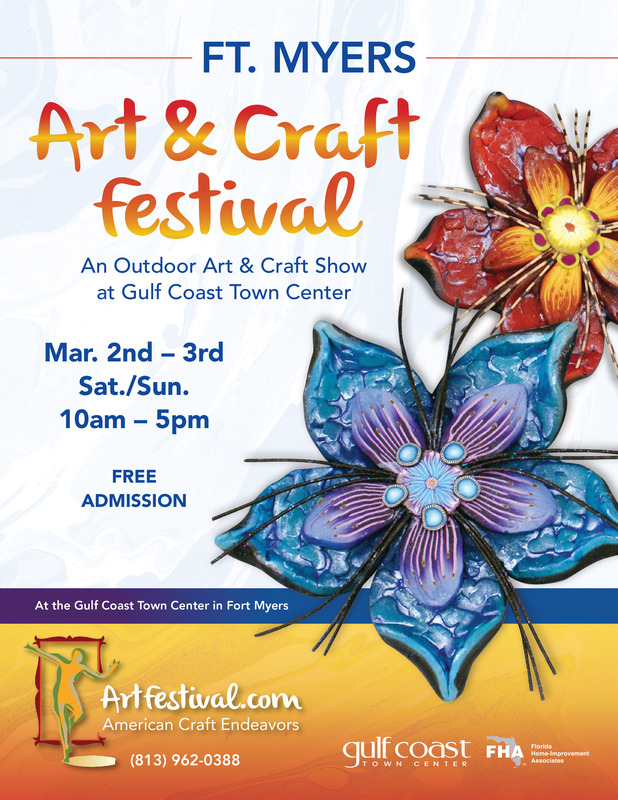 The Ft. Myers Craft Festival at the Gulf Coast Town Center has replaced the Palm Harbor Show, scheduled for the same dates.